Sophia Flörsch got into an accident. 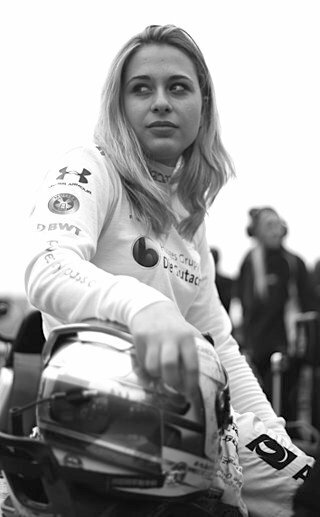 Her car flew off the track at a speed of over 270 km / h, hooked on the opponent’s car and flew over the fence, hitting the photographers and marshal. The participants in the incident received injuries of varying severity and are under the supervision of doctors. Sophia Flescher tweeted. “I wanted to tell you that I am fine, but an operation is waiting for me tomorrow morning,” it was reported. - Thanks to the FIA, the HWA team and Mercedes, who are very concerned about me. Thank you all for the messages with the words of support. News coming soon. ” Most likely she has spinal injury. Racing is a dangerous sport. A person is not so strong mechanism to endure such stresses. According to the organizers, in the consciousness is also the racer Sho Tsuboi, whose car Fleurs struck, flying out of the road in the turn of “Lisbon”. Three people were injured during the incident: two photographers and a marshal. All of them are also taken to the hospital. In what condition they are unknown. The race was won by Dan Tiktum who started from pole position and was in the lead in each lap.